If Not Drugs Then What? How has your week been? What gorgeous weather we’ve been having with plenty of rain to keep the garden green. I planted some new seedlings last week but it seems I’ve just been feeding the snails. You wouldn’t have any eco-friendly tips for keeping them at bay would you? I had a huge weekend with a beautiful wedding on Saturday at Kangaroo Ground, Sunday lunch in Lygon Street and two family dinners. What a social butterfly I am! And yesterday I had an amazing sound healing session with Tamsin Russell and a great Remedial Massage (that found all my secret sore spots) with Nicholas Kanaris. I’ll tell you a bit more about the sound healing in a minute. Now, last week I mentioned that I was going to a lecture about the over-prescription of pharmaceutical drugs. I must say that the Professor who gave the talk didn’t mince his words. He was very outspoken about the damage done by GP’s prescribing psychiatric medication without monitoring it well or referring patients for counselling/psychotherapy. He said that many of these drugs are not only addictive and require slow withdrawal, but that they cause long lasting or permanent brain damage and increase the risk of suicide or homicide. And in most independent trials (not conducted by drug companies) they are no more effective then a placebo. Of course an official diagnosis of depression is needed before a GP can prescribe anti-depressants. All doctors use a manual of symptoms called the DSM (Diagnostic and Statistical Manual of Mental Disorders) to make this diagnosis. These criteria are decided by a group of Psychiatrists, many of whom have a huge vested interest in the Pharmaceutical Companies. In 1980 this diagnostic schedule stated that bereavement has become depression (and therefore drugs can be prescribed) if someone was still experiencing symptoms after two years. In 1994 the duration was reduced to 2 months and in 2013 it became 2 weeks! In years gone by, pre-medication, depression typically lasted 6 to 9 months. Now 45% of all patients put onto antidepressants are still on them five years later. According to the most recent edition of the DSMV very few people escape a diagnosis. In fact 10.8% of all Australians suffer from depression. More and more children are being put on psychiatric medication for anxiety, depression or hyperactivity. Some as young as 3. That’s scary. A really valuable website that tells you what nutrients are depleted by various medications is www.mytavin.com You can search on a specific medication and it will show you what the side effects of the nutrient depletion are. Often these side effects are diagnosed as a new disease and more medication is prescribed. A Psychiatrist in Sweden decided to stop putting children on medication altogether. He had remarkably results and has now become a detox specialist helping children and adult get off prescription drugs safely. So, if you’re on medication and would like to explore coming off it, then it’s really important to work together with an enlightened doctor. By coincidence I happened to be sitting next to such a doctor at the lecture last week. This beautiful woman works as a GP in Clifton Hill, teaches meditation and practices energy healing. Her website is www.drfionaenkelmann.com.au. If you to go and see her please tell her I sent you! If you do want to explore coming off or cutting back on antidepressants or other medication then our Naturopath, Anna or our Chinese Medicine Practitioner, Anne-Maree, together with your GP, are really happy to support you while you’re detoxing. They can advise you on natural alternatives, lifestyle changes and supplements to reclaim your health. Of course it’s also important to address any underlying reason you needed medication in the first place. Sometimes its suppressed anger, grief or trauma that’s really causing depression, anxiety or physical disease. Sometimes issues can be treated just with good nutrition and detoxing. I personally find that helping people to face and heal old issues or traumas can all work magic. Techniques like Emotional Freedom Technique (EFT), Hypnosis, Belief Busting with PsychK and Intuitive Counselling make healing much easier than you might realise. Now on a completely different note, let me tell you about Sound Healing. Years ago I had a “Sound Massage” at a Mind Body Spirit Festival. It was a very memorable experience for me because I literally felt that I had left my body and expanded out into the universe. It was very trippy! I remember sitting in a chair and closing my eyes. The woman doing the “Massage” told me to imagine my breath flowing in through the top of my head, down to the base of my spine and out through my feet. She stood behind me, put her hands on my shoulders and she used some singing bowls, she sang and she chanted. She made the most exquisite sounds. I remember at one point I totally lost my boundaries and I was in bliss. I felt like I was in heaven and the Angels were bathing me in the most beautiful music. It reminded me of my little brush with drugs in India (the non-prescription kind!) CLICK HERE to read about that. Well you can imagine how excited I was when our new practitioner, Tamsin Russell told me that she has always had a calling to do sound healing. Yesterday I was in heaven again. I had a 60 minute session with her and it honestly felt like 20 minutes. I’m not sure where I went but I floated off somewhere with Tamsin’s Angelic voice. I was bathed in the most beautiful tones and melodies. She first guided me into a deep relaxation, used singing bowls and her own channelled singing and she ended the session with shiatsu/acupressure on my face, hands and feet. It was awesome. 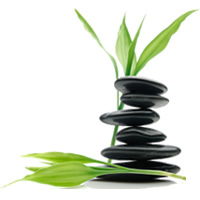 Tamsin is offering 60 minute sound healing sessions for an introductory price of $90 this month. She’ll also be running a new Guided Meditation with Sound Healing Group Session on Monday nights from 7pm to 8.30pm on Feb 23rd. Tamsin also does private Intuitive Channelling to connect with loved ones who’ve passed over. Please call us to book for a Sound Healing, Intuitive Channelling or Group Meditation. .
Have a happy, healthy week, Warm Regards, Alison Burton pioneering the future of healthcare Simply Natural Therapies 41 Tunstall Square East Doncaster VIC 3109 03 9842 7033 info@simplynaturaltherapies.com.au www.simplynaturaltherapies.com.au TAKE OUR HEALTH ASSESSMENT TAKE OUR 30 DAY WATER CHALLENGE SIGN UP FOR OUR FREE HEALTHY PREGNANCY AND BIRTH TOOLKIT VIEW OUR WELLNESS WEBCAST on our Secret Remedy for Health Click the image above to tell us what you think of Simply Natural Therapies and receive $20 off an appointment!! !